This year the camp was a huge success as far as the players having fun, developing skills and game sense. We had 25 skaters and one hurt his shoulder the second day, so down to 24. There were 7 girl's and three of them were Ringuette players there to improve their skating and learn about hockey. We divided them into a younger group of 13 with ages ranging from 5-11 and an older group of 12 ages 12-15. There were 4 girl's in the older group and 2 were ringuette players. Phil who coaches U18 AA in Calgary skated with the older group in the games. The three 15 year old boy's were very good with the two best players in Jasper and two from Calgary, one who just got drafted in the Bantam draft and was the best skater in the Hockey Alberta U16 camp. So the players were all over the place in age and hockey experience and ability. Every morning all of the players skated with Gaston from 9-10 and 75' later had another ice time alternating days with skating and hockey with me and Phil. In the afternoon the younger players had a 60' ice time and 3 of the 15 year olds helped me and we did the skills in 3 small groups. After that the older group had a 75' session and Phil helped me with that and played the games with the stronger players. My son Jim usually coaches the camp but he just started to article for his Law degree and couldn't ask for the third week working off. Everyone played the end of the week game the second morning ice time on Friday because some players had to leave for the long drive home, a baseball tournament and vacation. Game was full ice with one minute shifts. Younger group was 6-6. They watched the game clock and changed every minute and the player with the puck passed to his younger or older teammate. Twenty were left for a one hour session after lunch and the younger ones played a one net clear the zone game and a cross ice game with modified rules. Gaston teaches about the edges, weight transfer, stride, turns, and creating tension with the blade on the ice. It is fantastic. 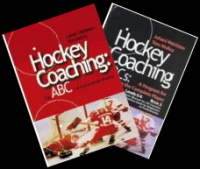 The hockey sessions were based on the ABC themes of 'Enjoy the Game' and 'The Game is the Greatest Coach'. There were zero goalies so we use 6 small nets and move them around so we can play games full ice, cross ice, half ice, third ice, 1/6 cross ice, 1/4 ice, etc. Puck handling all around the body with big moves. Wrist pass both on the forehand and backhand. Wrist shots progressing to 'catch and release' without handling the puck. One time and one touch shots. Playing the game in the 'triple threat position'. Puck support, getting open and giving a target. Going to the net with the puck. Quick transition between offense, defense, loose puck situations. We introduce the skill one of two ways. 'Create a Need to Know' by playing a game with a rule such as you must make at least three passes before a goal and only wrist passes are allowed or the other team gets the puck. After the players try it you have a 'corrective lesson' on how to wrist pass and then play the game again. I was amazed at how the young group used the wrist pass, instead of slapping the puck like most players, during the games the rest of the camp, without me saying anything. (get them before puberty and the learning is really accelerated.) Method two is to teach and practice a skill and then use it in a game. The younger players did simple games like cross ice or transition games as bounce the puck off the far boards to go onto offense. The older group did the same thing plus a lot of one zone transition games. They were usually in two groups because the 15 yr. olds skill is much higher and Phil played the games with them. Modified rules: All games had rules or game structure so the players practiced the skills in game situations. Day one games with different kinds of pucks, balls, rings to overload the nervous system with changing weights, bounce, etc. to help with rolling the wrists when handling the puck. 1-1 games - In the small groups the 6 nets are on one side. 12 players and 6 games of 1-1 at once. When you regain the puck or after a goal bounce the puck to yourself off the far boards to go onto offense. You have to have good moves and protect the puck to be successful. 1-1 with 3 goals on each goal line and either carry to the blue line to be on offense or with 3 or more players pass to the next player. 1-1, 2-2, keepaway inside the circle. 2-2 to up to 6-6 cross ice games. 2-2 to 6-6 cross ice games with a Joker behind the net who you have to regroup with to go onto offense. 2-2 to 6-6 Half ice game at each end where you must carry the puck out of the zone and get onside to go on offense. 2-2 and 3-3 Half ice Perry Pearn transition game where defenders must carry the puck over the blue line before passing to players waiting at the red line. Can be done with either two teams or even 3 sets of 2 or 3 players, depending on how many are on ice. 1-1, 2-2, 3-3 game of quick transition. Pass to next group who attack right away vs. the players who were just on offense. Players either wait at the blue line or for low zone at the top of the circle. Puck support: At least one pass in each zone, only 2" with the puck. Triple threat position: all passes must be with the forehand and progress to either forehand or backhand but with shoulders facing the play. Ringuette rules with a ring and with a puck. The ring or puck must be passed over each blue line. - At least 2 passes needed before you can score. - only forehand wrist passes allowed. - only backhand wrist passes allowed. - goals only count on one timer. - you must take 3 hard stride with the puck before you can pass or shoot. - you must make an escape move before you can pass or shoot. - you must do a Crosby heel to heel glide. - you must make a tight turn. - You must get two assists before you can score again. (this was for the 15 year olds to make plays instead of just beat everyone. Example of how much the kid's enjoy this coaching style was shown on Friday afternoon. We played the game before lunch and most parents and players thought we would be finished because about 5 or 6 had to leave. I told them we would have another ice time at at 1:15. Everyone showed up. We divided into the younger and older group at each end and played various half and cross ice games to finish the week. The ABC method is great for any sport of PE class. I taught all ages in my 34 years and this method works really well. It saved me my last 13 years in the school system when all of my classes were double classes of 48-60 students. Two classes came at the same time to a small gym. 48 to 60 students. Challenges: get the fit, keep them safe, teach the curriculum, keep everyone active and get them to love being active. This is a pdf. of the postings on this site since 2012. I am posting this to make things easy to find at the start of the 2017-18 season. It is a good idea to look at the coding system explanation first. Progress through these practice ideas and you will develop skilled players who enjoy both practices and playing games. Drills and games PDF's for practice at all levels. Younger players use the A-B-D-G-T1-T3, at about U10 include some DT, E, T2 then U13 and up use everything. For U18 players and up the A-B are for warm-up and the rest should be done at top speed and there is more focus on the T2-T4 offensive and defensive team play. A - skating and individual skills like puck handling and shooting. B - Partner and team skills - lots of passing, shooting, etc. C - Game situation drills - 1-1 and up. D - Games to teach the game. Full ice, cross ice, one zone, etc. DT - Transition games - you take the C drills and play games, no whistles, one puck, continuous change on the go. O - Off ice training. T - Teaching Team Play and Individual Skill with Coach Led Instruction. T2 - team offensive skill. T3 - Individual defensive skill. T4 - Team defensive skill. T2-4 - team offense vs. team defense. etc. T1-3 - offensive player or players vs. defenders. This link takes you to the diagrams and video. Many of the videos haven't been written up yet. They are coded and you can also use the search function. A. Defend from the net out. B. Forecheck from the inside out. Someone invented the Fall Under pk vs. the 1-3-1 and it violates many principles of defense. The first goal was scored when the top F chased a pass to the side and left the attacker at the mid-point alone to shoot. Result - GOAL. The winning goal was scored when the attacker on the goalies left was passed to from the mid point, walked in alone and the goalie made a great save, ten seconds later same thing but this time he shot bar down - GOAL. This fall under scheme that is used to kill the 1-3-1 Diamond pp violates a lot of basic hockey principles. I dress beside a former NHL coach of the year at +55 hockey and he shakes his head. 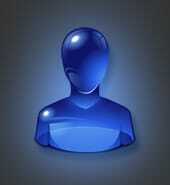 He says the basic principle is you 'always defend from the net out.' and you never chase passes. So the solution is that instead of all of this switching and chasing passes the PK should defend from the net out with a diamond that covers the 4 most dangerous players. When the puck is at the mid point the diamond should move out and leave the player in front to the goalie and the mid D get halfway to the middle attacker. The D and F on the side cover one stick length away on net side of the attackers on each wing. The puck moves to the side the defender on that side close the gap, block a shot. The low D front the player screening, high forward drop down, wide defender move to cover shooter in the middle. Simple rotation that takes away the one timer and is soft on the player two passes away but denying the passes with sticks in the lane. Simple but much more logical rotation where you don't give up shots and the four most dangerous attackers are defended from the net out. Last season teams went back to a tandem I forecheck on the pk. For about ten years everyone was doing this equally illogical swing to the sides. Come on boy's. Defend from the middle and force the puck with on the forecheck and defend from the net out in your zone. Stay with the puck carrier 1-1 but don't chase passes. The game isn't that hard. Most high level teams now have two forwards follow the play on the breakout and they pass back to them for the zone entry. Why wait for them. They only have a 3-3 if the F1 forechecker pressures the player who gets the back pass. Force the second pass and F2 pressure the puck to the side while F1 comes back through the middle. The other attackers are standing still at the blue line and are not dangerous. * Just read an announcement from Hockey Canada on 26 players that are trying out for the Olympic men's team at a tournament in Finland Switzerland. Two players who I had on the ice for lots of practices when they were 12-13 (in the golden years of learning) were named. One had a good NHL career and the other is a little on the small side and was up and down from the American League and now plays in Europe. It is neat to see former players do well. I was an assistant coach for 6 seasons at the University of Calgary with Willy Desjardins, Canada's head coach. So I am very interested to see how they do. Lots of former NHL players. There are many players released by NHL teams now when they are near 30 because they have to pay them a lot compared to young guys coming into the league. Only the top players get that lucrative 3rd contract. So they should have a good team. Tom in your opinion - on the DeBrusk goal last night did Gardiner pivot the wrong way? 4Paw, Gardiner did what defense are taught if you get caught flat footed. You turn to the inside which is 90 degrees instead of 270 degrees if you turn outside and race as hard as you can to the inside post. He pushed DeBrusk outside so he couldn't cut across and put it around Andersson. After the game Andersson said he thought DeBrush was going to cut across to the far side and that is why his five hole was open. In hindsight if Gardiner had put his stick on the puck he might have deflected the shot but he was trying to prevent DeBrusk from cutting across. Really a great play by DeBrusk going hard to the net and taking advantage of what the D and G gave him. Entire Leaf team was on their heels the third period and it is unfair Gardiner is getting so much blame. Some of the -5 goals had little to do with him. There are 6 players on the ice. Get kids on the ice...Here is a snapshot on how the site works!